Emporio Armani mens, black stretch cotton boxer brief. Large printed aqua signature eagle logo on left side. 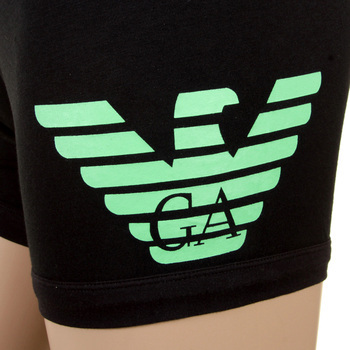 Elasticated waistband with woven aqua Emporio Armani on back and front. 95% cotton 5% elastan. SKU-EAM2403. For hygiene purposes this item is non-returnable.